This is Alice Perrers, the King’s Concubine, a vicious royal mistress accused by her contemporaries of rapacious and self-serving greed, wheeling and dealing to achieve a fortune in land and jewels. Of manipulating an aging monarch until her avaricious hands replaced his on the reins of power. If even half of this was true, she was a remarkable woman. So how did Alice achieve her pre-eminence? How did she attract the attention of Queen Philippa to be appointed as one of her damsels, or take the eye of King Edward to become his mistress? How did she come to the royal court at all if she was, as rumour had it, the illegitimate abandoned child of a common labourer and a tavern whore? Who would stand up for Alice Perrers then? "A great addition to the growing list of excellent historical fiction writers who manage to combine meticulous research with imagination and storytelling verve." "... fascinating portrait of a strong, intelligent, financially savvy woman emerges. This colourful and convincing picture will change the way the world sees a royal mistress." 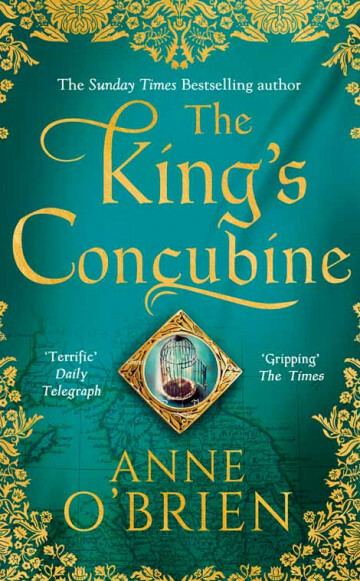 Alice’s story in The King’s Concubine opens a window for us into a fourteenth century world of power and passion where a woman of ambition but low birth must fight to achieve her goal. Alice’s battle makes for a gripping story, allowing us to see the woman behind the infamous facade.